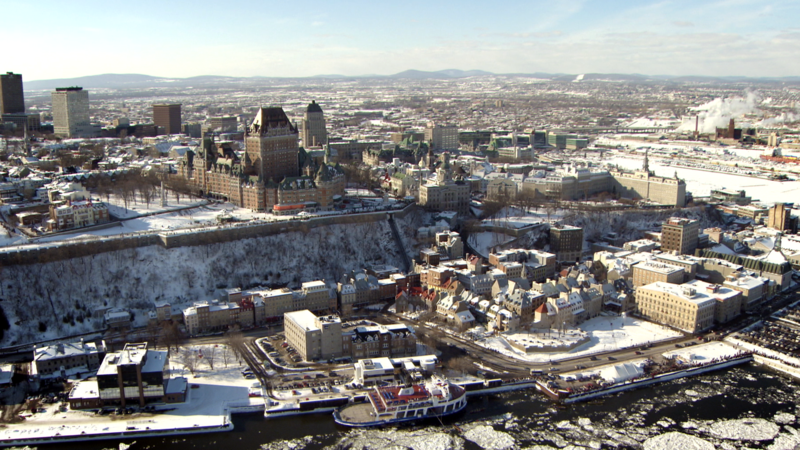 At 360 Media Ventures we choose our destinations very carefully to ensure that every one showcases an extraordinary experience and Quebec City was no exception with it’s amazingly rich history and culture. 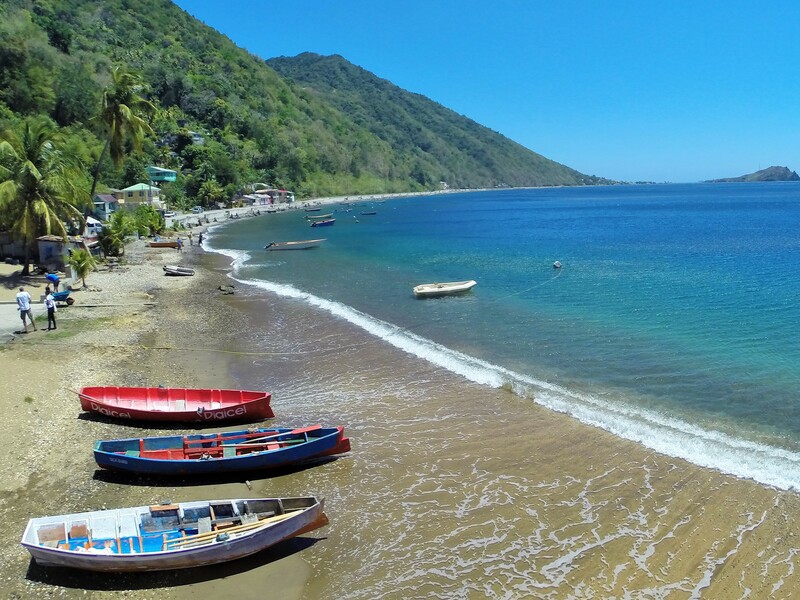 It’s a charming place to visit year round with plenty to see and do. 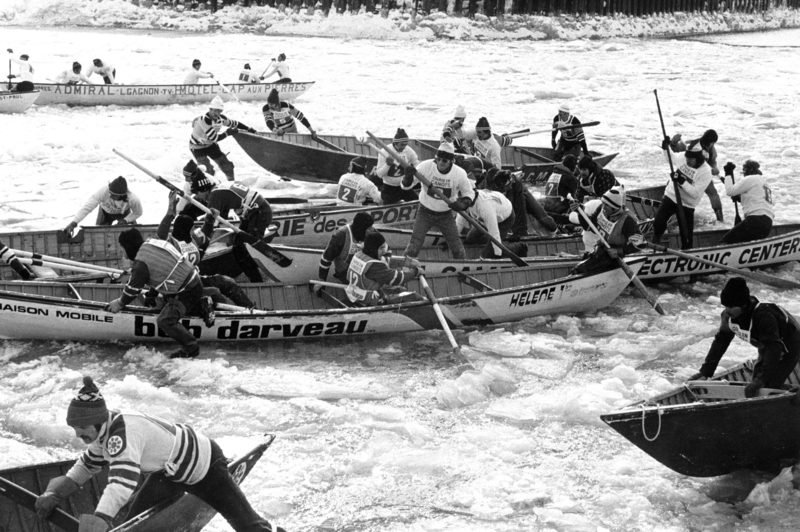 On this shoot the Winter Carnival and ice canoe race – the Ice Cup – were the headliners on our itinerary and I had no idea what an adventure we were about to embark upon. 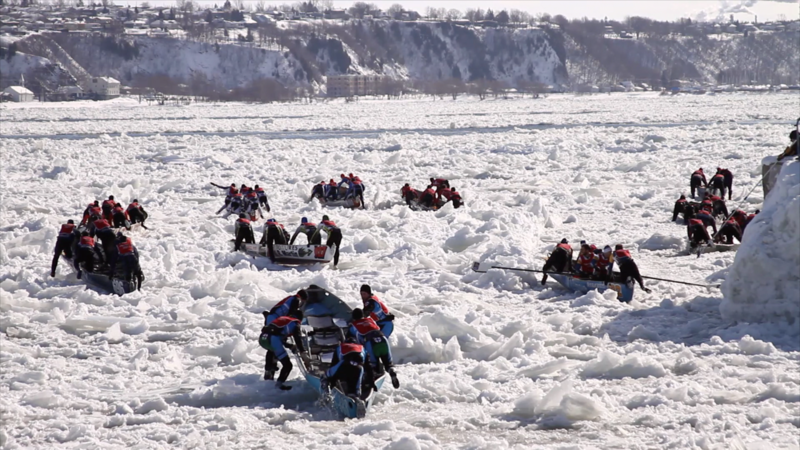 For the ancestors of present-day Quebecois, the ice canoe was a means of transportation between the shores of Quebec City and Lévis during the winter months. Today it has evolved into a highly competitive sport taken very seriously by its participants. 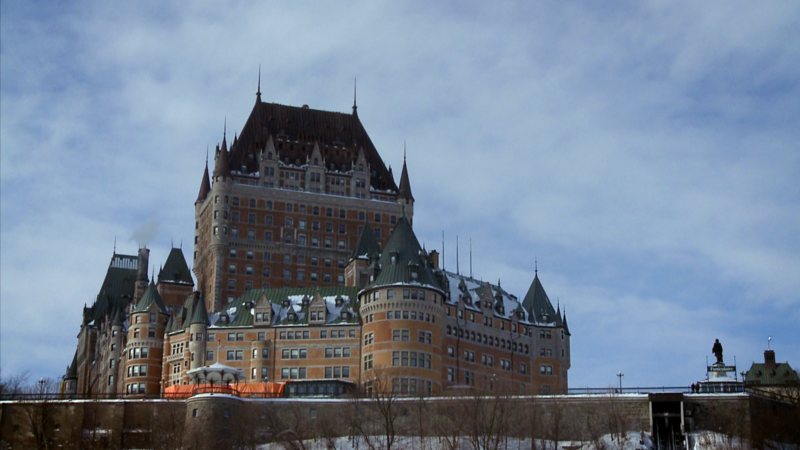 While in Quebec City we had the privilege of staying at Le Château Frontenac, a building that has charm and grandeur unmatched by any other I’ve encountered in the world. Located inside the walls of Old Quebec the Château has been perched atop Cape Diamond for over 100 years and overlooks the St. Lawrence River where our event was taking place. 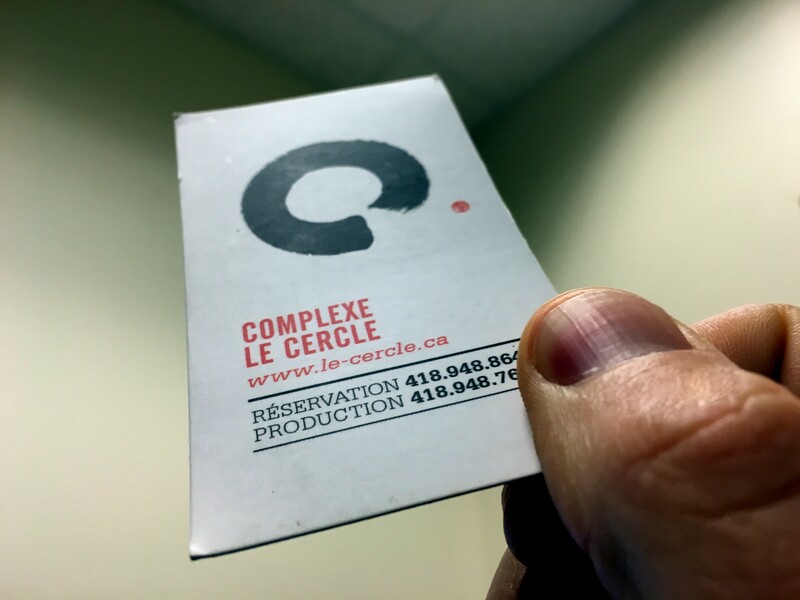 On our first night we had dinner reservations at Complexe Le Cercle, a place so interesting that 3 years later I still have their business card. After 3 courses of fine French cuisine (frog legs, yes) and wine pairings I felt obliged to give the chef a vigorous two-handed handshake when he came to our table. After dinner we took a tour of the building which was more than met the eye. With spaces for artists to display their works, poetry readings and even a dimly lit underground bar, the Complexe Le Cercle was a bouquet of creative concepts. This visit left me with a great taste in my mouth (literally) and thirsty to explore some more. 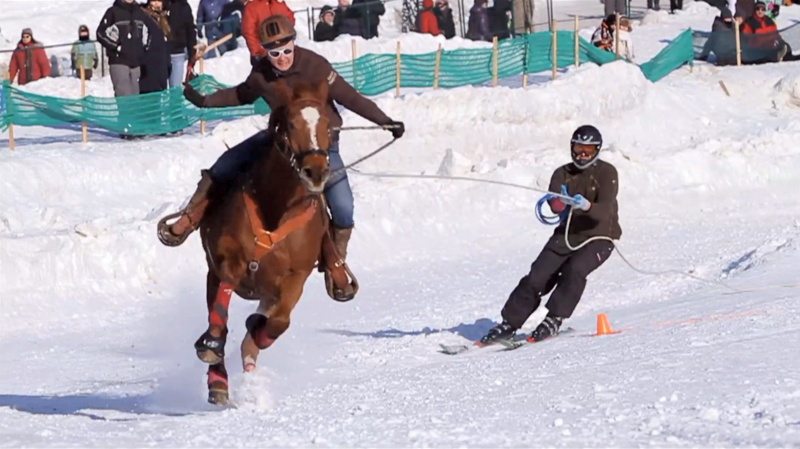 The next morning we headed to the Winter Carnival to capture some local flavor while getting ready for the Ice Cup. 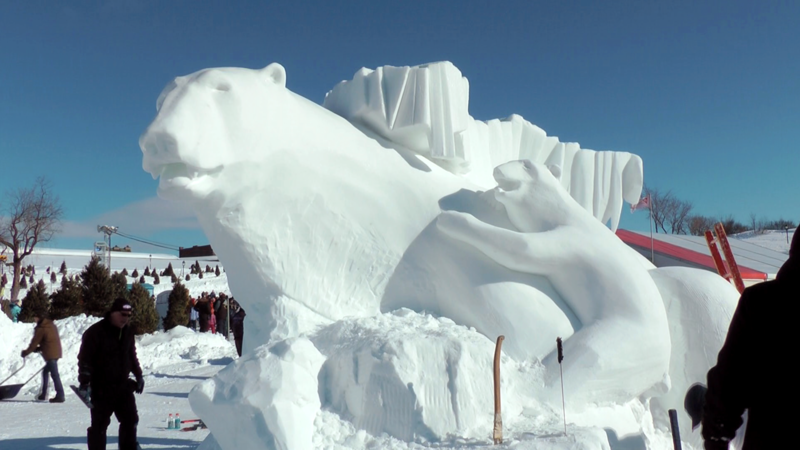 As we toured the carnival we took in skijoring (a winter sport that combines the thrill of skiing with the fun of equestrian), ice sculpture competitions, winter volleyball, and many unique cultural attractions. 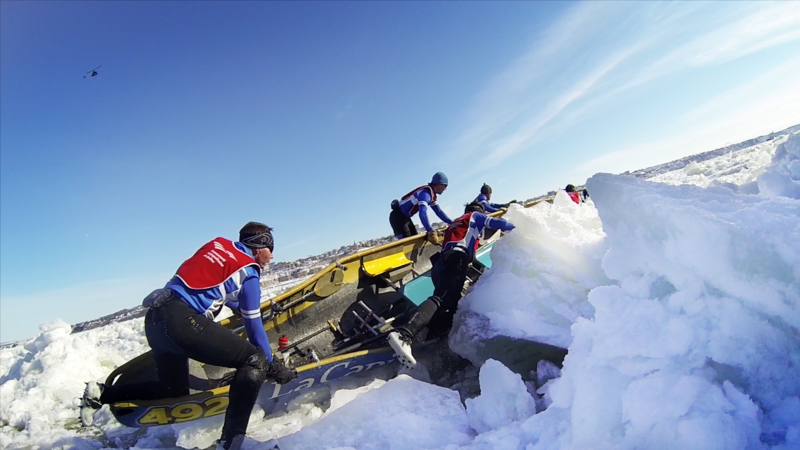 Next up was the main event.When we arrived at the start of the Ice Cup there was already a buzz of activity as the teams prepped their vessels for the treacherous row ahead. It was so cold we could barely feel our fingers as we mounted our GoPros. 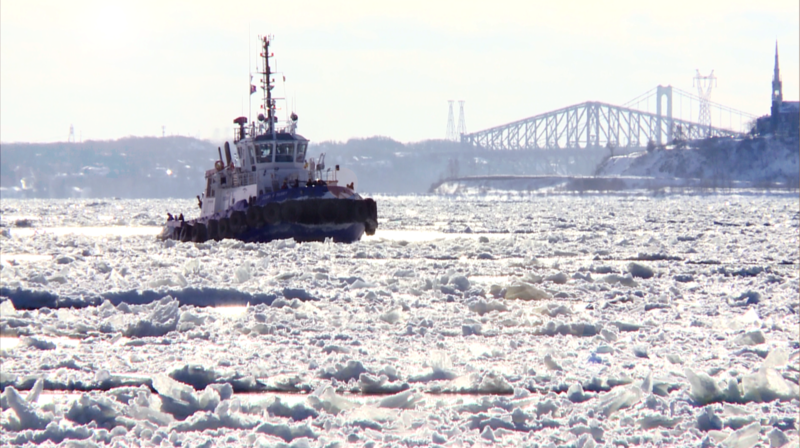 The St. Lawrence River was clear of ice that morning so to make things interesting they sent out a tugboat to break off an enormous ice flow that would engulf the whole river, a truly remarkable sight to see. 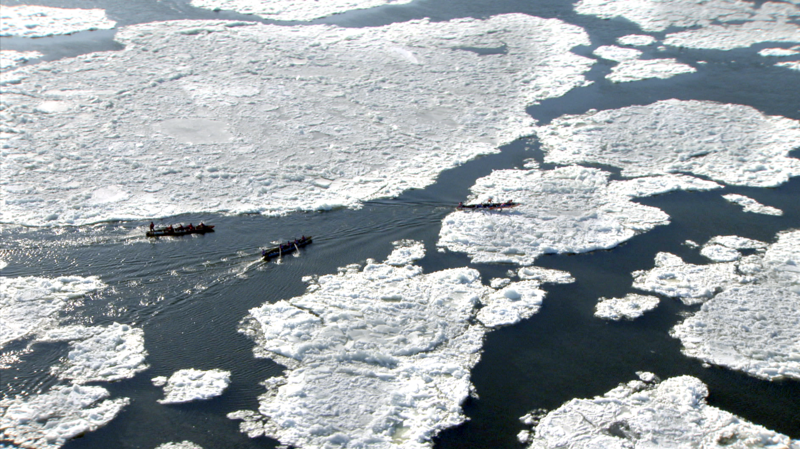 As soon as the ice breaker had completed it’s task they were off! 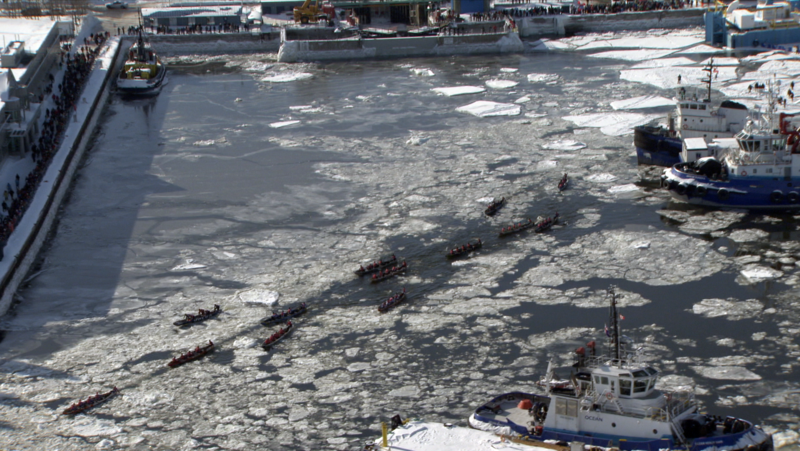 Teams of five, (both men and women) made a mad scramble out of the harbor. 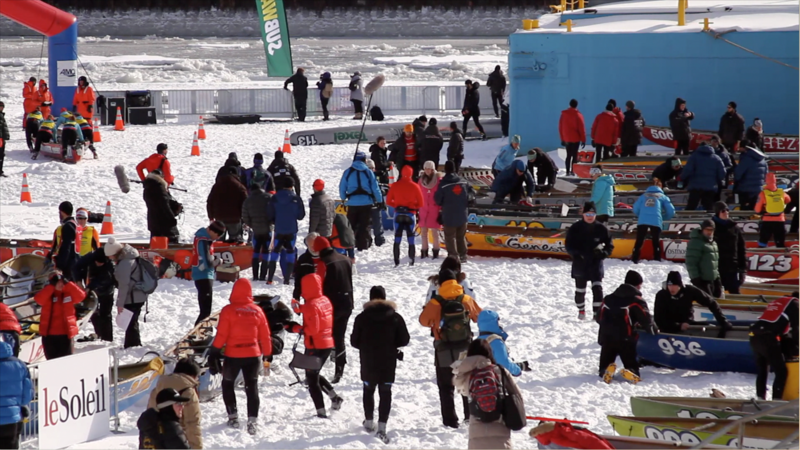 A combination of pushing the canoe with one leg in and one leg out combined with the ice crackling beneath their custom spiked footwear as they sped towards the open water made for a dizzying spectacle. 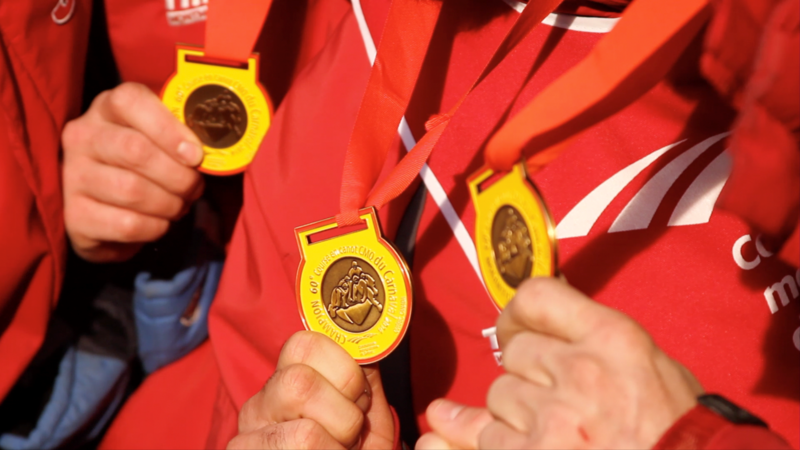 When it was all said and done the athletes were exhausted, soaking wet and freezing cold… yet smiling ear to ear. As we celebrated their victory over the St. Lawrence with a boisterous “Santé” knocking back Canadian lager and sharing plates of steaming poutine, I could tell that this was more than a sport or hobby, it was a passion for the Quebecois and for me it was a shoot I would not soon forget. 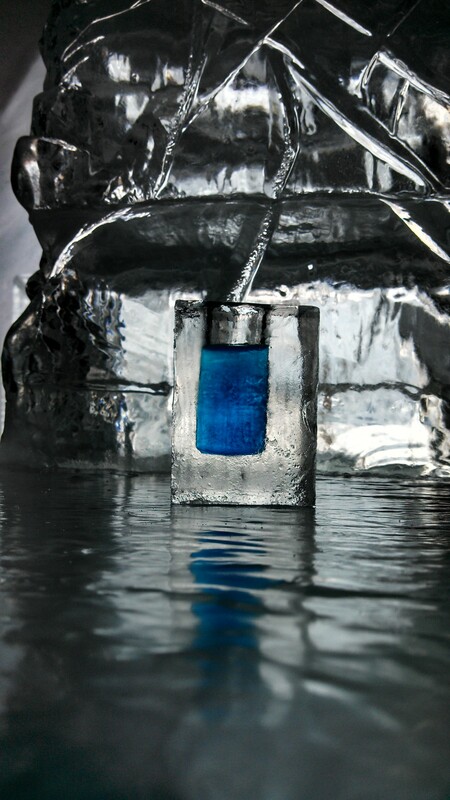 We had one final stop on our way out of town and that was to yet another remarkable sight, the Hotel De Glace. 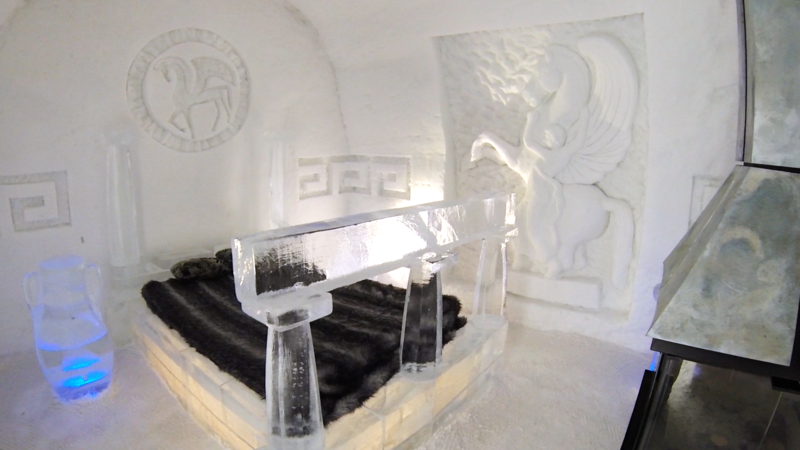 The Hotel De Glace is a hotel constructed completely of snow and ice and according to our guide is one of the most peaceful night’s sleep money can buy. With walls of 10’ thick snow and little in the way of modern amenities it was almost deafening how silent the rooms were. When spring comes along and temperatures rise they simply bulldoze the whole facility and start anew the next winter. Much like 360 Media Ventures production team, gone without a trace.